Suuri Aho & Soldanin valokuvanäyttely SUOMI KUTSUU - FINLAND KALLAR - FINLAND CALLING Valtion Taidemuseo Ateneum 6.5. - 4.9.2011. 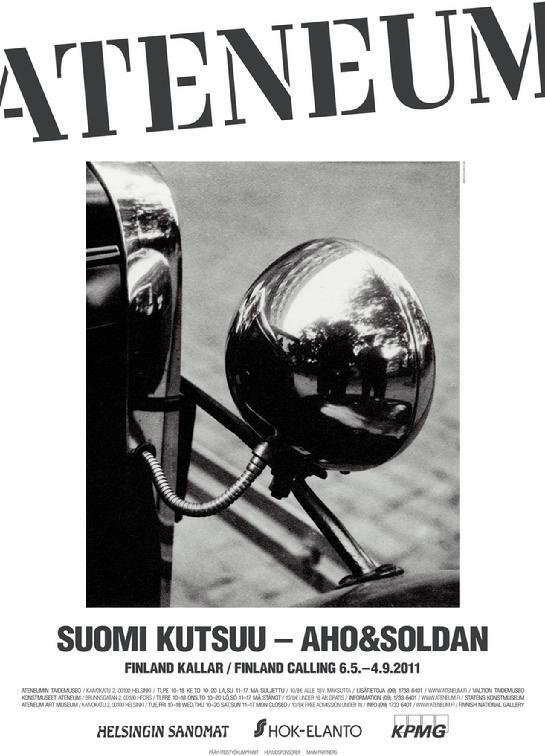 A large photo exhibition by Aho & Soldan FINLAND CALLING was shown at the Finnish National Gallery Ateneum May 6 - September 4, 2011. Heikki Aho (1895–1961) and Björn Soldan (1902–1953) were pioneers of Finnish film and photography. In 1925 they established their company Aho&Soldan, which became the dynamo of the cinematic arts. They made ​​hundreds of short and long travel and documentary films, including two key domestic feature films. 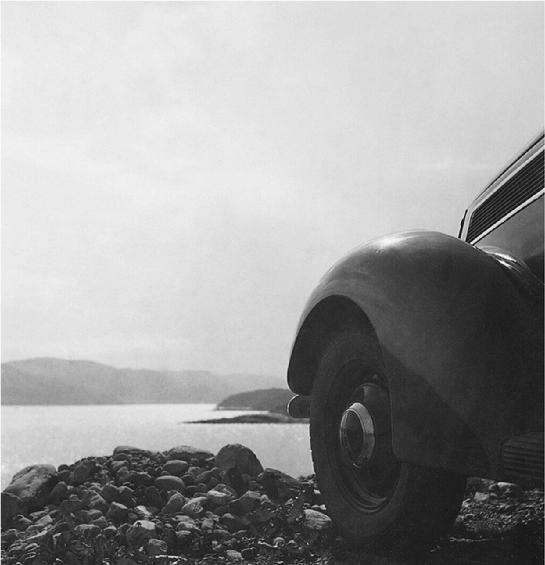 Their photographs were published in books, magazines and travel brochures. Their entire production opened up new perspectives on Finnish concepts ​​of beauty, the history of everyday life and the industrialisation processes in society. Heikki Aho and Björn Soldan were two of the most influential constructors of the modern image of Finland. Heikki and Björn were the sons of the author Juhani Aho; they were both half-brothers and cousins. Heikki’s mother was Venny Soldan-Brofeldt, and Venny’s sister Tilly was Björn’s mother. The brothers complimented each other perfectly. 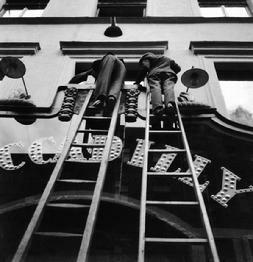 Their most important films and photographic works were the products of teamwork. The final result was confirmed by the Aho&Soldan logo, behind which it is difficult to distinguish between the camerawork of the brothers. Most of Aho&Soldan’s films were commissioned works, including advertising and propaganda films. Their most important films were made to promote tourism and industry and distributed internationally by the Ministry of Foreign Affairs. In their films depicting Finland, agrarian nationalism and tribal values are still very pronounced. 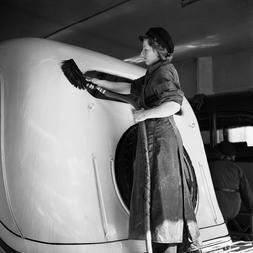 In the 1930s Aho and Soldan introduced alongside them the topical aesthetic values of industrialisation and urbanisation. 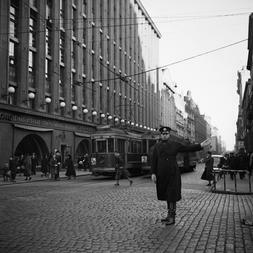 Aho&Soldan’s series of films titled “Finland Calling” (Suomi kutsuu) was the Ministry of Foreign Affairs’s introduction to modern-day Finland. A silent version of the series was released in 1932. 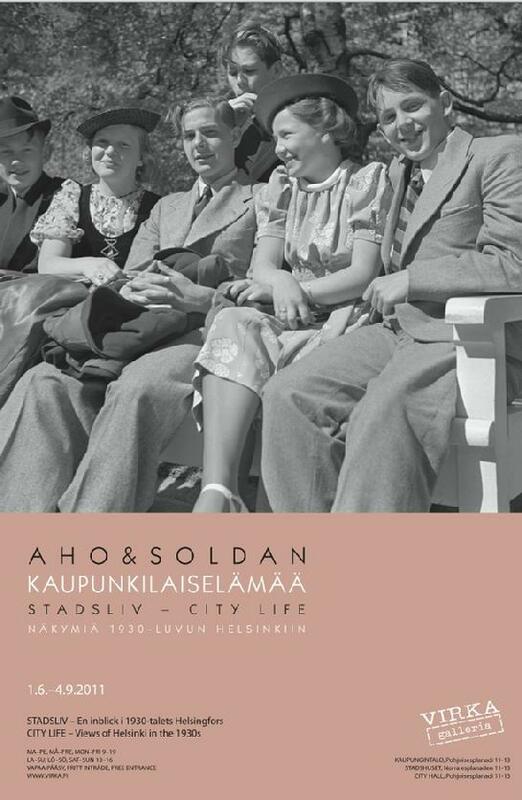 In 1936 and 1940 narrated compilations were released, praising Finland’s natural beauty, sights and attractions, modern way of life and industry. These films were released in numerous languages, attracting visitors from abroad and encouraging travellers in Finland. 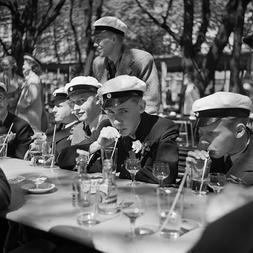 Although the amount of leisure time was increasing, many of the sights and aesthetic values ​​of Finland were still hidden from the majority of the population. Kesän päänäyttelyssä on esillä valokuvia ja lyhytelokuvia Aho & Soldan -dokumentti-elokuvayhtiön arkistoista. WSOY julkaisee näyttelyn yhteydessä samaan kuva-aineistoon pohjautuvan kirjan. Kansalliskirjailija Juhani Ahon syntymästä tulee tänä vuonna kuluneeksi 150 vuotta. Juhlavuoden aikana Helsingissä avautuu kolme Ahon sukuun liittyvää näyttelyä. Ateneumissa ja Virka Galleriassa on esillä Juhani Ahon poikien Heikki Ahon ja Björn Soldanin valokuvia ja dokumenttielokuvia, Taidehallissa on Heikki Ahon tyttären Claire Ahon värikkäitä muotikuvia vuosilta 1950–1967. Juhlavuosi huipentuu Peter von Baghin elokuvaan ”Suuri linja”, jonka ensi-ilta on 28.8.2011 klo 19.00 Bio Rexissä. Kaikista näyttelyístä kertovan yhteisesitteen saat ladattua allaolevasta pdf-tiedostosta. This year marks the 150th anniversary of author Juhani Aho’s birth. During the jubilee year, three exhibitions related to the Aho family will be organized. 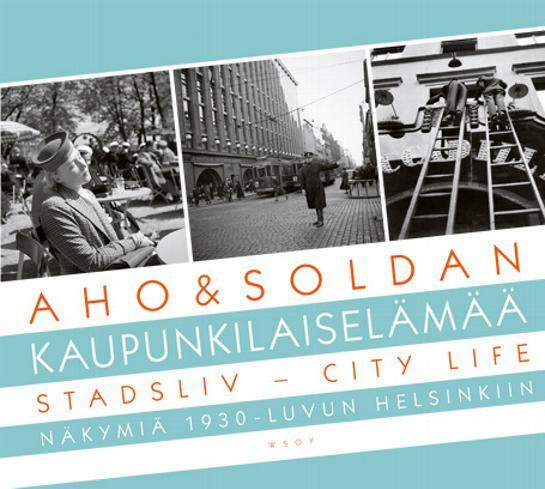 The Finnish National Gallery Ateneum and Virka Gallery at City Hall will display photos and documentaries by Juhani Aho’s sons Heikki Aho and Björn Soldan, and WSOY Publishers will publish a related book entitled ‘’City Life’’ in May. Kunsthalle Helsinki will exhibit Heikki Aho’s daughter’s Claire Aho’s colourful fashion photos from the years 1950-1967. The jubilee year will culminate in a Peter von Bagh movie ”Splinters - A Century of an Artistic Family” which tells about the Aho artist family. The premiere will take place on 28.8.2011 at 19.00 in Bio Rex. All material by Aho & Soldan® is protected by copyright, © JB. All rights reserved.